so …. 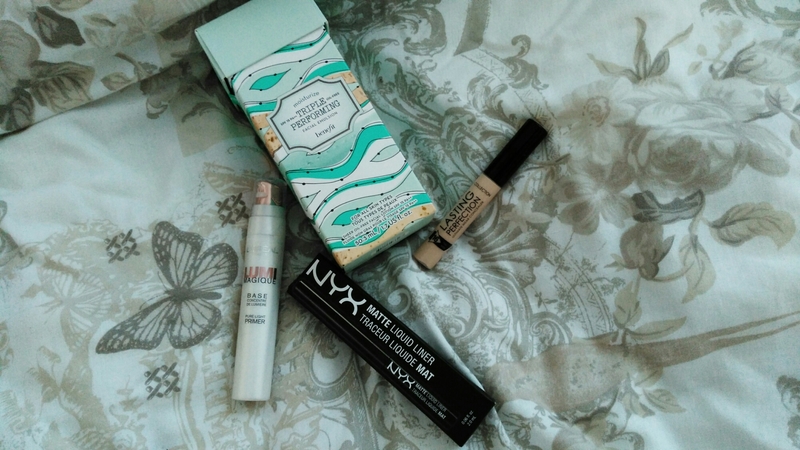 I did some splurging and I thought would share , I was totally only meant to be buying one thing on boots.ie , but decided that I needed a little bit more haha , it is quite a small haul but it all amounted to around 60ish euro so I suppose in a way … its not really! So my grand total spending was 61.99 which … sorta makes me feel a little sick inside to think thats what I spent but I suppose I can talk myself around and justify the fact that I NEEDED these products haha . I thought today I would review the Indeed Labs Facial Powdered Exfoliator … that was a mouth full… I got this exfoliator for Christmas , because I was DYING to try it out because it just sounded so weird yet intriguing to me so my mum was so kind and pick it up for me to try out. So , this is a powdered exfoliator , a little different to any of the exfoliators I used in the past , but is says that its suitable to all skin types which made me want to try it even more , the product comes out in a white powder , it sometimes reminds me of sherbert ( yum ). When you have the product in one of your hands you want to add water to the powder so that it becomes this sort of foam consistency, there is no grains in this exfoliator either and its extremely gentle , so if you suffer from senstive skin this will be a dream to you. I rub in circular motion all around the face and when I feel like I’ve done the best that I can , I just wash it off with warm water. When I was researching the product so many things popped up that I was extremely happy about. This product includes Silica , which is amazing for helping fight Acne and helping with those dreaded wrinkles.It includes Rice Brand Powder , which the Japanese used for centuries to get that softer smoother skin, Bromelain is also present , these enzymes are used to maintain healthy skin which is found naturally in pineapples! A massive factor for me is that it included Hyaluronic acid. Hyaluronic Acid helps to hydrate the skin and help stimulate collagen , Hyaluronic acid , helps pull in moisture from the air , which is essential for me since I suffer from quite dry skin. 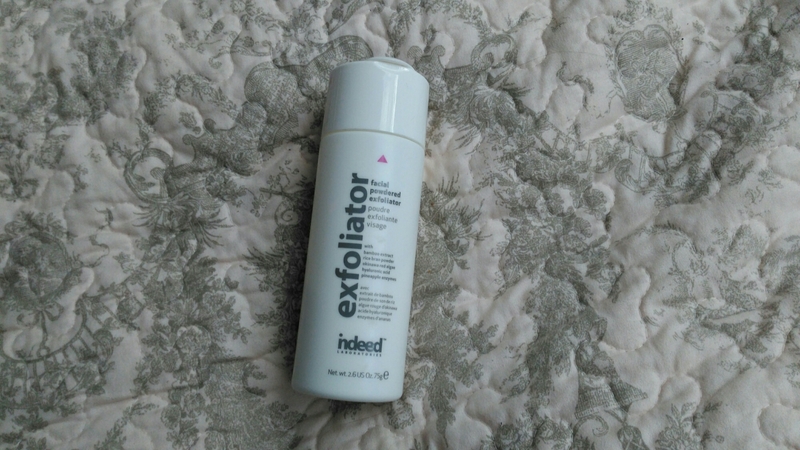 I would give this product a 10/10 I found nothing wrong with it , and it ticked all the boxes for me , it retails for €24.99 , so definitely not the cheapest exfoliator out there , but definitely one that works! Thanks so much for reading guys! 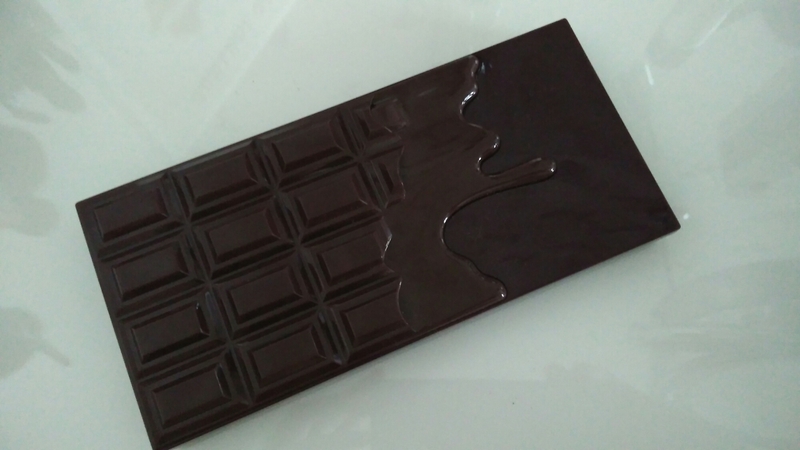 Lets start with the obvious , this palette is meant to resemble the Too Faced chocolate bar palettes, but don’t be fooled , this particular palette is not a dupe for any of the Too Faced ones , They do have a salted caramel which is meant to resemble the Semi Sweet chocolate bar palette and a normal chocolate bar palette to resemble the original one. When I look at the colours in this palette its almost like the original chocolate bar palette just a little bit darker, the colours in this palette are mostly cool toned , not something I would of picked up a few months ago , but I’m coming out of my comfort zone these days and I thought about experimenting , so if cool tones aren’t for you then you won’t like this palette! The pigmentation! WOW! just WOW , I’ve never used any other drugstore brand that had pigmentation like this , the colours are so buttery and so easy to work with that my eye makeup looks like a dream! I have 2 other palettes from Makeup Revolution the Ultra flawless palette and the Run Boy Run palette and the pigmentations in the both of those are out of this world too! hope you all enjoyed my little come back post , have you tried this product? let me know if you liked it in the comments below! I can’t believe November is almost over and Christmas is just around the corner! I absolutely live for Christmas so I can’t wait to get right into the festive feeling and get my tree up in the next week or so. Avene Extremely Gentle Cleanser Lotion: Okay wow! I decided I needed to change up from the Garnier Micellar Water ( You can read all about it HERE) and try something new and this is my new holy grail cleanser. My skin feels like a babies bottom after I use this! Wet n Wild Walking on Egg Shells: So this might sound weird but I don’t use this palette for eyeshadow at all … I actually use the first eyeshadow as a highlighter and its bomb! 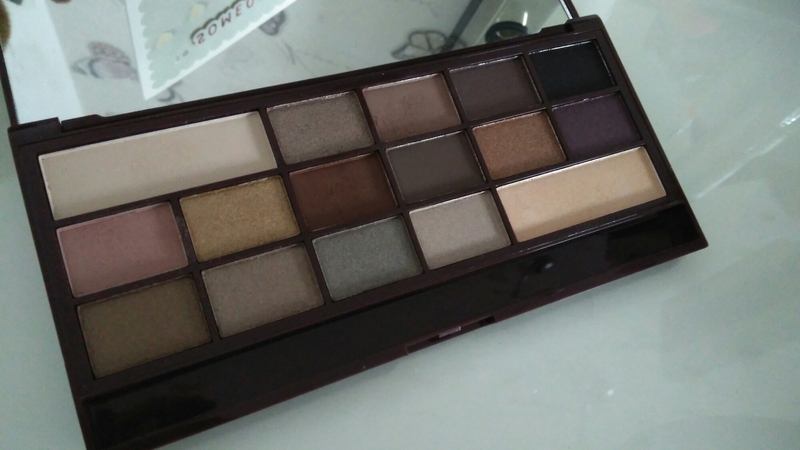 Changes up my makeup game every time I apply it , if you have this palette give it a go, if you don’t it only costs around 5 euro so you wont be out of pocket! NYX Soft Matte Lip cream in Morocco: A more recent love of mine, but a love nonetheless , I wrote all about this product in my last post that you can read HERE. I adore the colour its a very me colour and I love that its not overly matte when it dries. La Roche Posay Effaclar duo: Another product I’ve fallen in love with again , I find this to be the best moisturizer to use under makeup because it stays tacky and it’s not heavy, its a very light almost gel like moisturizer which is perfect for applying makeup over. Butterfingers: I recently tried some Butterfingers and I think I died and went to Heaven … anyone who knows me knows I love anything with peanut butter in it , I am obsessed with Reese’s but these come first right now. Asparagus: I feel so stupid putting this in a favourites post , but I’ve been enjoying my fair share of asparagus this past while haha! I hate any kind of vegetable its almost a chore for me to eat vegetables , but my boyfriends mum made dinner for us all last month and included asparagus and I just can’t stop eating it ever since. Shout out to asparagus! Samantha Ravndahl: Currently obsessed with Sam , she’s been one of my favourite youtubers now for over a year. If you would like to check her channel out , youtube Batalash Beauty , Sam ,Dom and Angela are part of the Batalash team and make videos on various makeup looks! So when It came to sitting down and writing a post this week , I was stumped , I was a little down in the dumps and not very motivated or inspired by the makeup I had at hand , so I decided to make a list of post ideas that any beauty blogger , new or old could use when they feel a little under the weather or looking for inspiration like me. Product Reviews:Review the different products you use daily and give honest reviews on how you feel about them. Beauty Hauls:If you’re anything like me, I LOVE to go for a good shop and showing what you bought is a great way to create a post that might inspire others to buy the products you just purchased! Top 10 Lipsticks/Eyeshadows:This is a great way to showcase your favourites you can also do seasonal Top 10’s too! Products You Regret Buying:You’re not always going to find products that work for you, write down a list of products you regret buying and why they didn’t work for you. Skin Care Routine: Everyone loves Skin Care! show the products you use and how you use them , you can do a night time skin care routine and a day time skin care routine. Whats in my Makeup Bag: This post lets your followers see what you’ve been carrying around with you on the go and your daily essentials. Mini Makeup Tutorials: Create your go to look , or a dramatic night time look! be creative and show off your talent! Personal Posts: Its always good to put a personal post out there once in while , it shows your followers that you’re human and also lets them know the type of personality that you have. Monthly Favourites: Post a round up of all the products you’ve been loving this month and share them with your followers. Morning/Night Routine: Write about what you get up to in the morning and at night , how you tend to relax or the tv shows you watch. Wish Lists: Create a list of products or other things , you would love for each month or just for birthdays or Christmas. Makeup Collection/Storage: I LOVE finding out different ways of storing makeup and looking at other peoples collections! No matter how big or small your collection is, share it! MOTD: Take a picture of the makeup you wore today and post it , stating what products you used to achieve the look. Holy Grail Products: Let us know the products you can’t live without. Tags: Tags are always fun to do , theres so many different types! find the best tag that suits you and go for it! It could be the TMI Tag , or the Boyfriend Tag whatever you want! Empties: Show your followers all the products that you have finished for the month and whether you would purchase them again and give a short review. Blogs your loving: Write about the different blogs you’re loving at the moment include their links and a short reason why you love reading their blog. How To’s: It could be anything from How to Contour to How to Strobe, teach your followers your tips and tricks on how to get certain looks! First Impressions: Give your followers a look into what the product you used is like on the first go , and if you would use it for a second time. Beauty Box Subscriptions: If you are subsribed to any beauty box sevice like Ipsy or Boxycharm then share with everyone the products you recieved that month and what you thought of the overall box! There you go! 20 beauty blogging Ideas. I hope you enjoyed this post , it was something a little different but I enjoyed writing it , I love making lists ( is that weird??!) If you want to add to the list comment down below your blogging ideas!